Healing sessions usually last 50-60 minutes, except for the first session, which takes +/- 80-90 minutes. Before the first session, I will send you a short “Intake Form” that you will fill in with your medical history and with some information that will give me an initial impression of your Human Energy Consciousness Field and your health system. You will preferably send me this form back before our first session. All information is of course strictly confidential and will be kept as such. According to your needs, longer sessions are possible. They allow more time for talking, healing integration and feedback. It is als o possible to first have a body psychotherapy session and to integrate it deeper and in other dimensions with a healing. Healings take place on a massage table, fully clothed. Long Distance Healings are done via telephone or Skype for the talking part, with you resting in a quiet place, at home or wherever you are. During the healing, I will practice various Brennan Healing Science™ techniques, which will all interact to enhance and balance the health of all your bodies and of your whole system. They can include Chelation, Chakra and Organ clearing and restructuring, repairing tears in the field, Relational Cords restructuring which will deeply help to improve your relationships, Hara Line Healing which will help you align your positive intention to your life purpose and to manifest your longings into the physical dimension, Healing and Expansion of your Core Essence to reconnect to your creative process and help your Essence flow through your whole field and in your life, and more. This will support your journey and help you become who you truly are. I use sacred healing sounds and overtone to enhance the healing process. After the healing, you will have some time to integrate and to give or receive feedback. 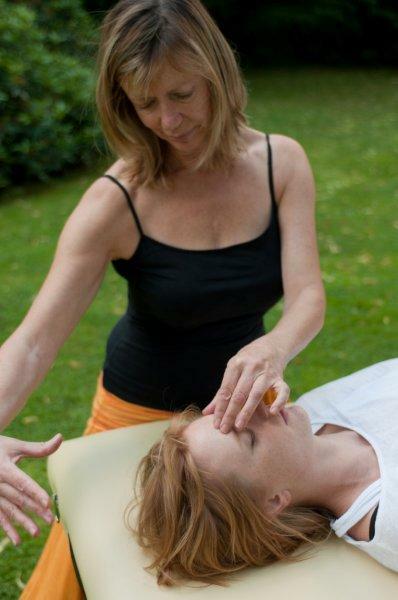 Often after a healing, clients feel very relaxed, aligned and whole, like after a long peaceful journey. Some clients feel full of energy, and some need to rest. It depends on your system and on the work that was done that day. However, it is always important to plan not to have a busy agenda after a healing, to allow the work to continue to process and integrate into your whole system. I look forward to meeting you and to accompanying you in this healing and awakening journey.